Not to be confused with the “My Sharona” guys on Capitol, the mid-‘60s California band that also recorded for Capitol, or even the ‘60s Argentinean beat combo known as the Knacks, this Knack hailed from Britain and started life as the Londoners in 1965, debuting with a rather ordinary single pairing covers of Elvis Presley’s “That’s My Desire” and Sam Cooke’s “Bring It on Home to Me” while playing an extended engagement at the legendary Star Club in Hamburg, Germany. Renaming themselves the Knack after a Richard Lester movie upon returning to the UK the same year marked a turning point for the band, who went on to record six mostly solid singles over the next two years. The a-side of the first was a gritty cover of the Kinks’ “Who’ll Be the Next in Line”, but the real excitement was on the flip, a stellar cover of the Clique’s “She Ain’t No Good” with strong Beatlesque harmonies. The Clique, incidentally, were not the US band who had hits later in the decade, but an obscure British beat band—though that obscurity didn’t prevent the Knack from covering yet another Clique song on their next single, “Time Time Time”, which was done as adeptly as the previous outing. The a-side, a beat remake of Hank Ballard and the Midnighters’ “It’s Love Baby (24 Hours a Day)”, was almost as good, featuring a brief-but-nifty guitar solo (presumably by Gurvitz). Their commercial desperation manifested in passable but ordinary covers of two Lovin’ Spoonful hits, “Did You Ever Have to Make Up Your Mind?” and “Younger Girl”, and a lament of unknown origin called “Red Hearts”, but their quest also produced a first-rate harmony pop tune in “Save All My Love for Joey” (Joey being a girl). The buoyant beat of “Stop!” was also worthy, if perhaps out of date in the changing musical environment of 1966, a description that also fits their final single from 1967, “(Man from the) Marriage Guidance and Advice Bureau” backed with the band’s only released original, Gurvitz’s “Dolly Catcher Man”. Both the acoustic Rubber Soul-like pop of the a-side and the dreamy pop of the flip showed maturity, but with the rest of the UK dropping acid and/or plugging into fuzzboxes, it was hopelessly anachronistic, and being on a faltering label didn’t help. The Knack, however, did branch into psychedelia on Gurvitz’s excellent (and previously unreleased) “Lights on the Wall”, a huge step forward from 1967 that signaled a new direction for the band. 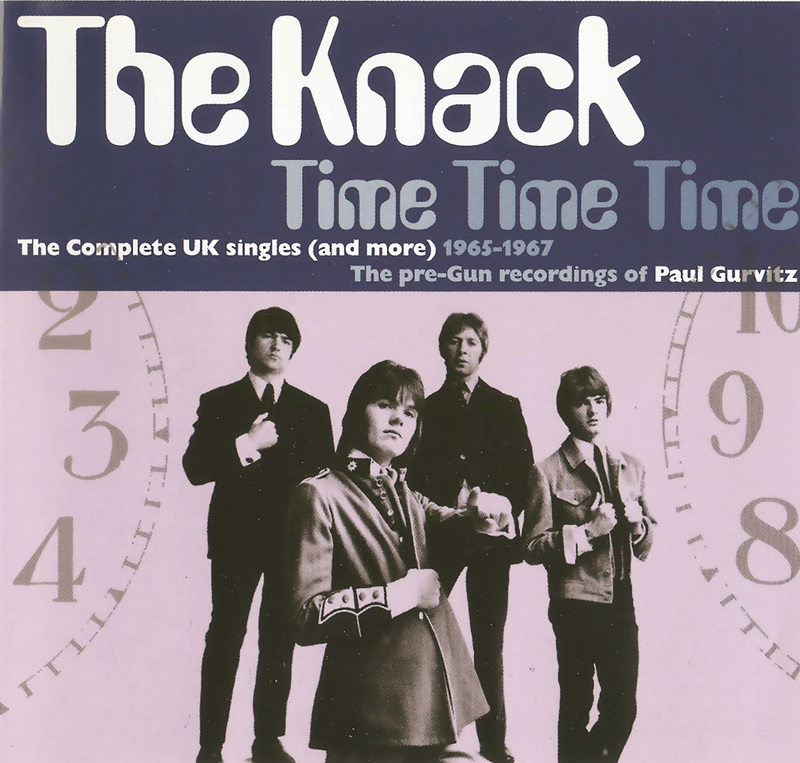 But with membership shuffling that ultimately brought in Adrian Gurvitz on guitar and Louis Farrell on drums as Paul switched to bass, that direction would be taken up by the rechristened Gun, not the Knack. 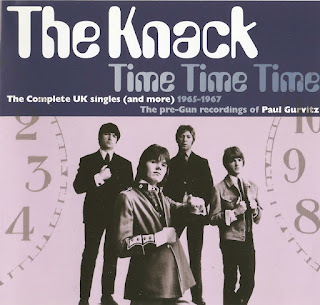 Gun were indeed the better of the two bands, but the Knack’s Time Time Time compilation is worth a listen for anyone seeking to dig deeper into British beat.